A few weeks ago, I had the chance to guest blog on a fellow PLR provider’s blog, and so I chose to discuss the myths surrounding PLR. As you may (or may not) realize, there are a lot of people who still do not have the correct information on PLR, and/or do not know how to use it to benefit their businesses. I love reading other people’s blogs, and recently I came across a very interesting blog post. It was a link to a controversial topic written by someone who advises his subscribers not to use PLR, and that they should create all their content from scratch. 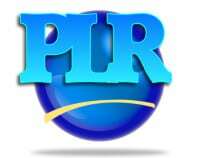 It quickly became clear to me, from reading some of the comments left by readers, that many are still very misinformed and uneducated on what PLR is, and what you can do with it. Today, I would like to address some of the myths that I noticed popped up in the comments section. Some people still think that they are being dishonest with their followers if they use PLR. The truth is that often people you follow and look up to for business advice have used PLR, or use it on a regular basis. In many cases, they have changed it so much that you would never know that it was not their product! They used the PLR to assist them with ideas, and speed of creation with the final product. In fact, you may not realize this, but PLR is everywhere. It is not just found online! Next time you go shopping at your local grocery store, look at that particular store’s brands. Do you think that the store manufactures its own cat food or apple juice? No, instead they buy the rights to those products from manufacturers, and then put their own labels and names on them. However, note that you are not allowed to buy the PLR, and then turn around and sell it as PLR with your name on it (unless you have purchased those particular rights). Many PLR sellers sell limited licenses for their products, thus reducing the number of people who can purchase them. Then when you consider how many people take the PLR, rewrite it, and add their own personalities and ideas in it, chances are slim that you will run into exactly the same thing. In addition, when people buy PLR, they do not all use PLR exactly the same way. Two people could buy exactly the same articles, but customer #1 could turn them into videos that he uses on his membership site. Customer #2, on the other hand, could use them for her autoresponder list. I am not saying that you should always use PLR “as is,” however there are definitely times when you absolutely can! It really depends on your business. If you are an offline business owner, and looking for content that you can provide your customers, clients, or patients, then using the content “as is” might fit your business. For example, if you want to use the content to create an informational pamphlet that you can hand out to your clients, PLR may be just what you are looking for. While it is true that Google will penalize for duplicate content on the SAME site if it appears to be deceptive and manipulate search engine results, it does not penalize you if other sites have the same content. If you do not believe me, Google’s Greg Grothaus, addressed this topic in a video. Some may argue that this is an older video (2009), but Google admits that all they are trying to do is make search results relevant for users, and provide diversity in the results shown. In fact, you can read the same information, as contained in this video, in a recent 2012 Google publication. In it, Google states: “Duplicate content on a site is not grounds for action on that site unless it appears that the intent of the duplicate content is to be deceptive and manipulate search engine results.” Google then goes on to tell you how to avoid being penalized for duplicate content on the same site, by using 301′s, etc. If you are publishing PLR on your website, you can always make the content more unique and relevant for your users (and Google) by simply adding in your own thoughts and ideas. To conclude, I hope that I have helped you understand PLR a lot more, and perhaps put some of your concerns at rest. PLR can have such a beneficial impact on your business, that it would be unfortunate if you did not have the correct information. 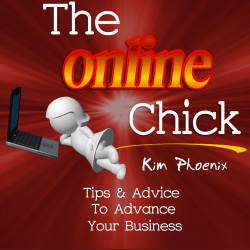 Kim Phoenix has taken her passion for health and wellness and developed it into the health PLR store, Buy Health PLR, where you will find high quality, accurate content.